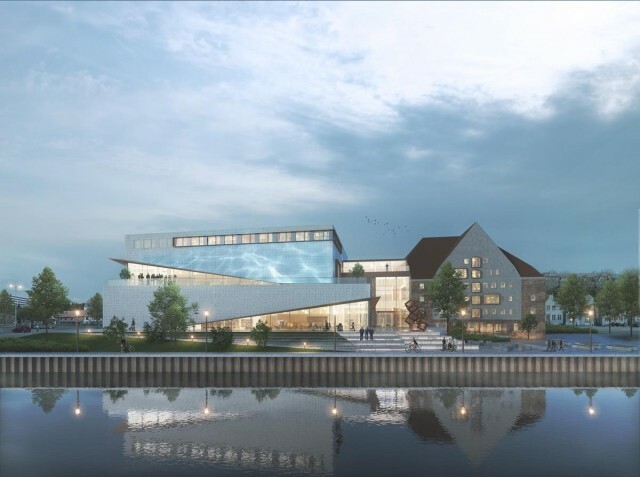 One of the key buildings in Frank Gehry’s Masterplan for Sønderborg is the multicultural centre that will sit at a prominent location in Sonderborg with views of both the harbour and the historical city centre. 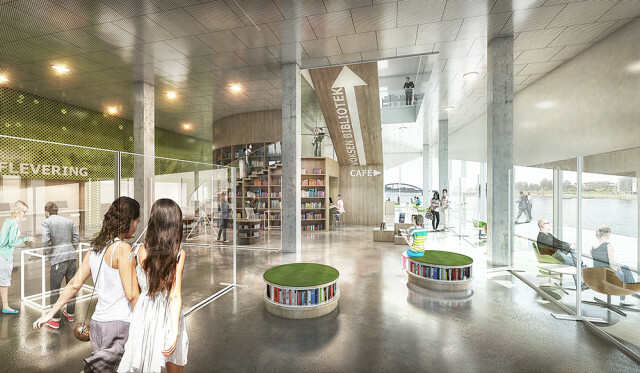 There were two architect companies that took part in the contest to design the future centre. It has now been decided by the municipality which submission is the winning bid. 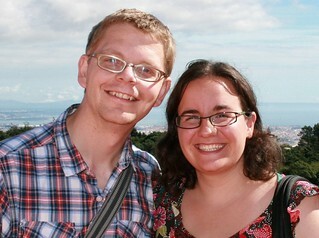 And from the pictures published I think it looks like a really nice project. The winning proposal for the new multicultural centre on the waterfront is created in collaboration between AART Architects, Zeni Architects, Alectia and Hoffmann. The centre will be built around the old warehouse (Ewers pakhus) that is the only old building left on the harbour at the moment. 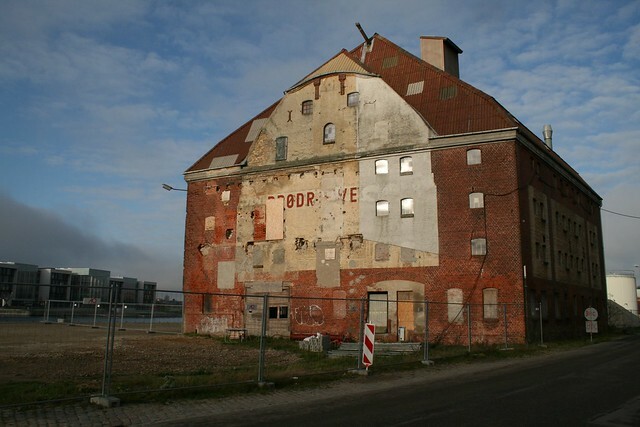 The warehouse in is a pretty bad state but I think that once it has been restored it will add character and charm to the brand new building and be a physical reminder of the times where the harbour of Sonderborg was a bustling industrial port. 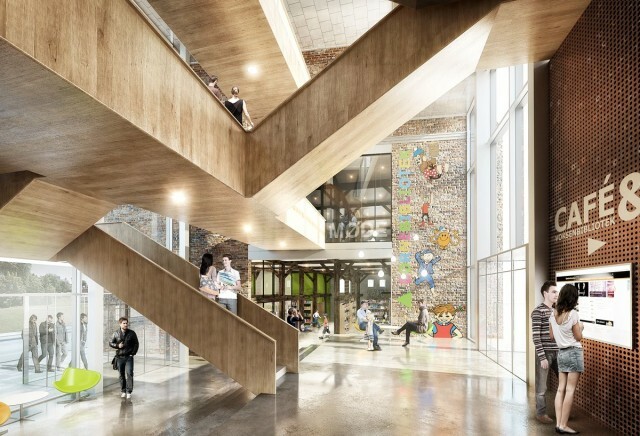 The building will bring together under one roof several cultural institutions, and create a place where the focus is on learning as well as other cultural and recreational activities. The building will amongst other things house Sønderborg Library, The German Library and South Jutlands Artschool. The building will be 5500m2 and it is expected that 1000 people will use the building daily and the budget cost of the centre is almost 100 million kroner. Sonderborg Library: An Undiscovered Gem? This entry was posted in Spotted in Sønderborg and tagged architecture, building, gehry, harbour, library, masterplan by Michael. Bookmark the permalink.